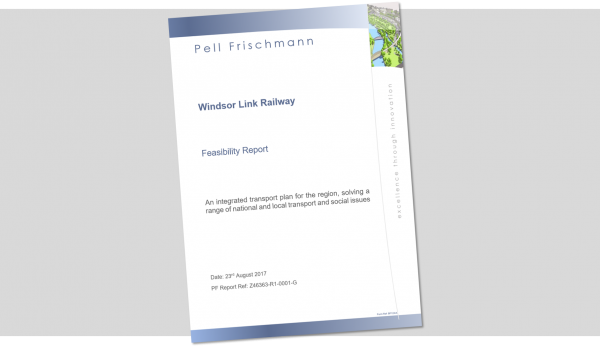 Over the last few months the Windsor Link Railway has been working with Network Rail to estimate demand for phase 1 of the Windsor Link Railway, connecting Slough to Staines via Windsor. As with much forecasting, this is a far from easy task. Network Rail’s standard approach is to look first at the population and employment in the catchment areas of the new services. This splits into two types: long-distance and local. One can ignore the former for now because it is too complex to consider all the interactions with existing services. The local market, however, is easier and the likely catchment areas are illustrated by the shaded areas on the diagram above (click for a larger version). The red area shows the market around Slough and Maidenhead and the blue the south-west London principal markets. The size of these areas is probably a bit conservative, especially in London, as there are many adjacent locations for which this new service would provide quicker times than currently achievable by car, let alone by rail. The blue area has a population of between of a half to one million, depending on where you draw the catchment boundary, measured by borough. Note that these areas shown roughly drawn deliberately, as this is not an exact science. From this one can then identify a suitable proxy, the existing market from Slough to Paddington, for example, based on the assumption that the demand for the new service will be similar to the demand for a suitably similar existing service. 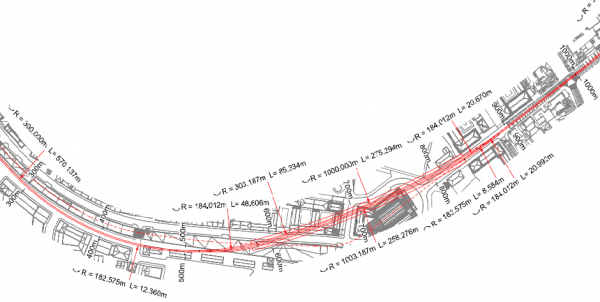 WLR has also used a model developed by Southampton University for forecasting the demand for new stations. This has been calibrated on 1,500 stations across the UK. It produces much more positive forecasts and it is likely that the true scenario is somewhere between the Network Rail and Southampton approaches. Having two forecasting methods makes it easier to understand the flaws in each method, to arrive at a considered conclusion. Based on this work, WLR hopes to publish updated forecasts soon.